I joined Fox Chase Cancer Center in 2014 as chief of the Division of Gynecologic Oncology. I spent the early part of my medical career at Memorial Sloan-Kettering Cancer Center in New York and the Hospital of the University of Pennsylvania, where I was chief of gynecologic oncology. As a gynecologic oncologist, I have extensive training and experience in surgery (including minimally invasive) for gynecologic cancers and for complex benign gynecologic conditions. I also provide the full range of chemotherapy options for gynecologic cancers, giving my patients the continuity of care that comes with multimodal cancer care. 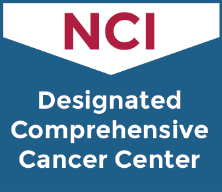 I am delighted to be practicing at Fox Chase, where I offer patients state-of-the-art care, including innovative clinical trials, in a caring, compassionate environment, with all the support services that come from an NCI-designated Comprehensive Cancer Center. When Joan Foley learned she had ovarian cancer, she did her research and read great things about Dr. Stephen Rubin at Fox Chase Cancer Center. At Fox Chase, Joan underwent surgery less than a week after her initial consultation with Dr. Rubin. Following surgery, she also underwent chemotherapy for 18 weeks. Today, Joan is feeling goos and is back to working as a researcher at a university in Philadelphia. "I recommend that anyone diagnosed with cancer should do their homework and research well-regarded oncologists who have expertise in a specific diagnostic area of cancer," she said. "My family now contributes to a research fellowship program led by Dr. Rubin to train research fellows in the field of gynecologic cancers...Because Fox Chase is a research institution, it offers patients a treatment edge, and research at Fox Chase can inform existing treatment protocols to yield better outcomes now and in the future." Mary Haspel received several false diagnoses for what was first diagnosed as a urinary tract infection. Eventually, after a number of tests, she was diagnosed with ovarian cancer. Mary's doctor referred her to Fox Chase Cancer Center, where she underwent a hysterectomy. The next stage of treatment was an 18-week course of chemotherapy, followed by 12 monthly treatments. The treatment was successful, and Mary returned to her normal life, but decided to retire so she could pursue other interests, such as teaching yoga. In March 2017, she was diagnosed with a small recurrence of cancer, but is responding well to the chemotherapy and feels positive about the outcome. Lizbeth Brunswick was 60 years old and had never been in the hospital when she was diagnosed with ovarian cancer in 2014. Her gynecologist recommended she seek treatment with Dr. Stephen Rubin at Fox Chase Cancer Center, where she underwent surgery and an 18-week course of chemotherapy, all while continuing her work life in New York City. In October 2016, she spoke at the Fox Chase Cancer Center Laurel Society event at The Kimmel Center for Performing Arts, where she described not only her experience with cancer treatment at Fox Chase but also her belief in the importance of philanthropy to support cancer research. "I know I would not be where I am today if it weren’t for everyone at Fox Chase," Lizbeth said. "I believe that by giving back, we give others the chance to beat this disease. Without research there is no cure." Debbie did her research and asked a highly regarded gynecologist, “Who would you go to if someone in your family had ovarian cancer?” The answer was Dr. Stephen Rubin. Resilience, Positive Coping, and Quality of Life Among Women Newly Diagnosed With Gynecological Cancers. Manne SL, Myers-Virtue S, Kashy D, Ozga M, Kissane D, Heckman C, Rubin SC, Rosenblum N. Cancer Nurs. 2015 Sep-Oct;38(5):375-82. doi: 10.1097/NCC.0000000000000215. [...] Dr. Rubin is amazing. The staff may be overwhelmed. I love Dr. Rubin! I admire his knowledge and bedside manner. I have referred him to my family and friends and will continue to do so! I credit Dr Rubin for saving my life. He's an amazing doctor. Dr. Rubin is an extremely skilled surgeon and cancer specialist. He is a kind and caring doctor. I appreciate that he follows my treatment. It's very reassuring to me. I am thankful that I have the best doctor! Dr. Rubin treated me with dignity and respect, aside from his expertise in his field. I am grateful. Dr. Rubin visited me briefly before the surgery and made sure to see me after the surgery as well. His staff followed up also. The team was excellent. [...] He has ALWAYS been kind, compassionate, and informative. I trust him completely. Dr. Rubin is simply the best. Not only is he a leader in the gynecological oncology field, he is compassionate, forthright and encouraging in dealing with his patients. I could not ask for a better doctor to be treated by. He gave information to me everything clearly. Dr. Rubin has always been there when I need. I have been going to him for 17 years HE SAVED MY LIVE. I would not go to any one else. Janet Strainic - Dr. Rubin's case coordinator has been excellent in follow up my care.